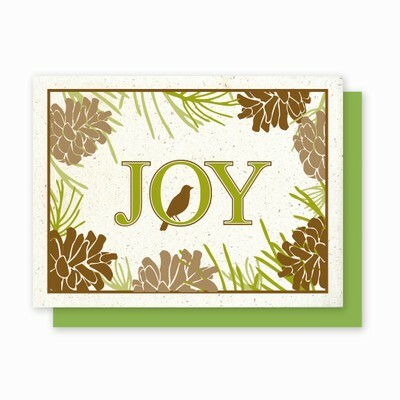 This clever card is printed on Hemp Heritage 110# card stock using soy based inks. Hemp Heritage paper is made from fibers of the hemp plant. This historic plant holds great promise as a renewable tree-free source of fiber which can help end the radical destruction of the earth's remaining forests. Choose from a single card or an 8 card clear recyclable boxed set. Each contains fine quality recycled envelopes that compliment the card. The back of each card has the classic Hemp Heritage logo and reiterates the importance of using tree-free paper.